With the rise of recruitment through social media, LinkedIn has become a powerful tool for recruiters and job-seekers alike. Whether you’re actively looking for a role or just keeping your options open, it’s important that your LinkedIn profile offers an accurate, engaging depiction of who you are and what you’ve achieved professionally. We’ve come up with a few tips for how to make sure you’re showing the best version of yourself to potential recruiters and colleagues and build your personal brand online. This is the first thing recruiter’s will see when they come across your profile. First impressions are always lasting and you want their first impression to be of someone competent and professional. Make sure the image is high quality, you are in business attire and you are smiling. Cover photos are often overlooked by LinkedIn users but they are another easy way to make a great first impression. Often, companies will have stock cover photos that you can use that will demonstrate your professionalism and pride in your current organisation. Otherwise, there are plenty of professional cover photos online, so look for one related to your industry. This is another key way of creating a positive initial impression of you through your profile. Keep it concise, and clearly communicate what you do or what you’re looking for. If you can, try and avoid the standard job title and company – this will blend in with all of the other users and ultimately be forgotten. Having an easy and memorable URL makes it easier for people to find you as well as easier to give out in person or on the phone when needed. Keep it simple, like your full name and a memorable number. We always consult candidate’s profiles when they apply for jobs and being easy to find online will always be beneficial to you. In your privacy settings, update your career interests and switch on the option that let’s recruiters know you’re open to opportunities. This allows them to get in contact with you with any vacancies they think you’re suitable for, which will give you an indication of which searches you’re appearing in and what kinds of roles complement your skills. Particularly with your most recent positions, include your achievements, your responsibilities and anything noteworthy you’ve done in the role. When you can, include relevant keywords and phrases that highlight your best skills and improve your visibility in LinkedIn searches. You can use bullet points, but make sure you emphasise what you brought to the role. Most of us now have social media profiles across several platforms. Obviously you should only include those that will show you in a positive, professional light. Particularly if you have published content online (whether this be a blog post, an article or a review), put a link in the publications section or in the relevant job descriptions to highlight your work. LinkedIn has become a powerful content platform and by publishing content on LinkedIn yourself, it can be a useful way to display your expertise to your professional network. It can be difficult to find the time to stay active on your various social media platforms. Even if you post a few paragraph-length pieces a month on LinkedIn, try to write content related to your profession or industry as regularly as possible. It will keep you at the forefront of people’s minds and demonstrate you are an expert in your field or industry. You will also show up on people’s timelines if you share or engage with other people’s content. Even short comments can show recruiters that you are willing to engage in a meaningful way with other people in a professional context. Just make sure you are adding something valuable to the conversation, not just writing hollow comments for the sake of it. This is another easy way to engage with your network and show you give your colleagues credit where it is due. It is also a great way to start conversations – by endorsing someone’s skills or recommending them, you can start a conversation that is potentially beneficial both professionally and personally. A LinkedIn profile is a great opportunity to display your strengths as a well-rounded candidate, not just in terms of your career history. Adding experiences like volunteering, organisations you’ve worked with, projects you’re doing, or courses you’ve taken will give a broader view of who you are and demonstrate your quality as an individual, not just as a job applicant. 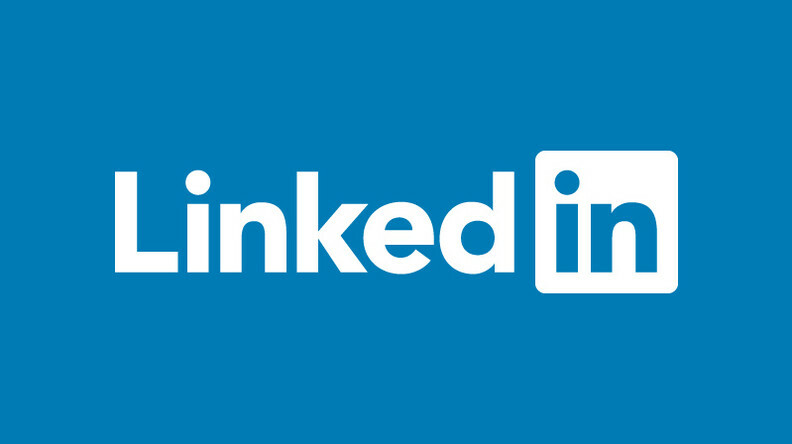 LinkedIn is a powerful resource to grow and enhance your professional persona, and to connect with other professionals in your industry. At it’s best, it can help you with your job search and allow you to maintain valuable relationships with colleagues long after you’ve left a company, and give companies and individuals an insight into your career achievements and goals. If you’re looking for your next career move, browse our latest jobs or talk to one of our recruitment consultants today.